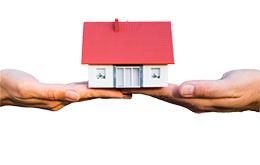 Find The Perfect Home in Australia We can take the pain out of finding somewhere to live with our easy-to-use Real Estate services. Whether you’re looking to rent, buy or find a place to set up shop, your new life in Oz starts here. Just a few simple clicks and you can list your private of commercial properties for free! Whether you’re looking to flat, rent or buy a house, we’ve got current properties available across Australia. See our Real Estate section to view current listings for rentals and properties for sale all across Australia. If you have a property or properties that you’re looking to rent out or sell, you can list them directly through NZRelo simply by contacting us. With close to 650,000 Kiwis currently living in Australia – many looking to rent or buy – NZRelo offers a huge market for sellers. See our Real Estate section to have a look at our options for listing your property – with a wide range of packages, one of them is sure to suit your needs! Be prepared for the fact that property can be a lot more expensive in Australia than in New Zealand. The markets in the major cities are especially competitive so it pays to keep your options open. For more practical information about moving the leap into a home of your own in Oz, check out our resources section, which is full of handy information about connecting your utilities, organising movers and what real estate agents look for!